If you suffer from gynecomastia, or overly large male breasts, learn how you can benefit from breast surgery. Through this procedure, Dr. Garcia is able to reduce the excess glandular and fatty tissue that can give the male chest a womanly appearance and undermine self confidence. Male breast surgery provides many men a way to feel more masculine. Once the underlying cause of your gynecomastia is determined and effectively treated, you still may be left with round, protruding breasts that can be corrected only through a surgical procedure. With the help of male breast surgery, men no longer have to feel embarrassed by their chest appearance. At Garcia Plastic & Hand Surgery, Dr. Garcia and his staff are committed to providing you with a caring, personal approach. Request a consultation or call the office at (518) 793-0475 today. What’s Male Breast Surgery All About? Dr. Garcia’s method of surgical correction varies depending on the cause of your enlarged breasts. If you have excess glandular tissue, in most cases it can be removed with a scalpel through an inconspicuous incision at the edge of the areola or under the arm. If you have too much fatty tissue, it can be removed through liposuction. After you’ve fully recovered from the surgery, you can enjoy a much more attractive, masculine chest. 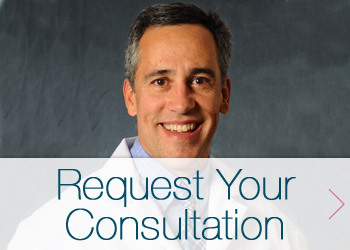 At your consultation, Dr. Garcia will answer any of your questions about gynecomastia. Request a consultation by filling out the form below or by calling (518) 793-0475 today.